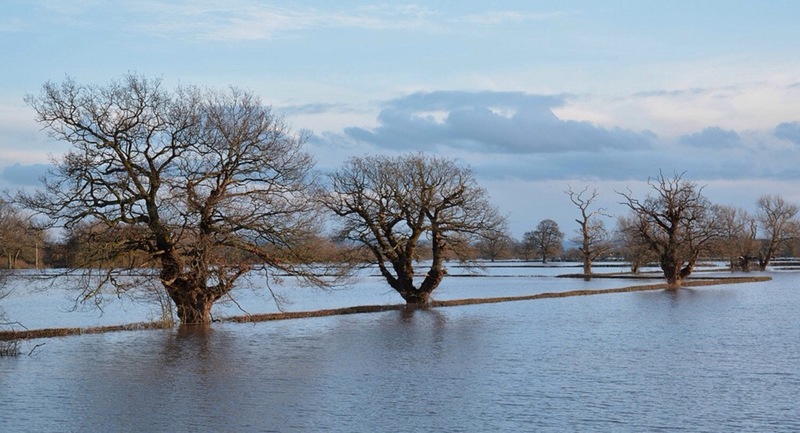 After a brief respite 2013 continued in the vein of 2012, with flooding across the Severn catchment. Cold weather in the middle of the month resulted in a build up of snow in the Welsh mountains. 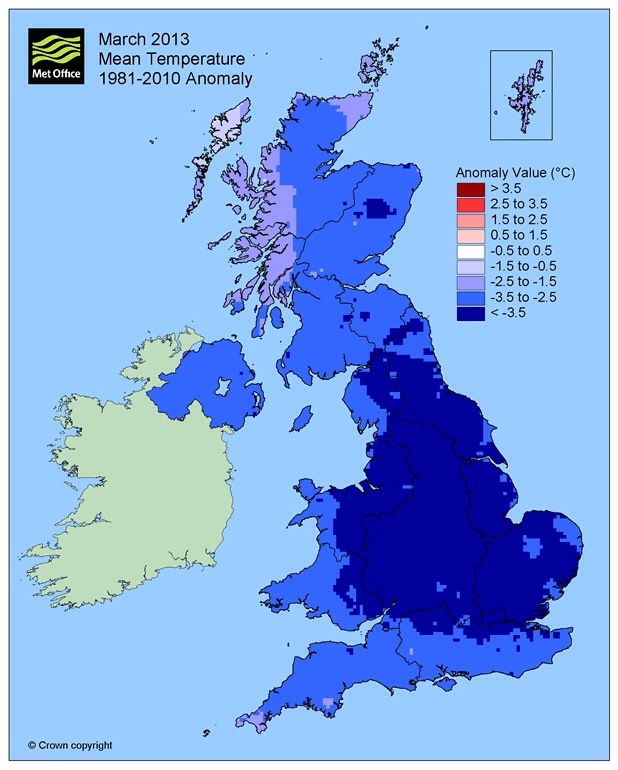 A rise in temperatures coincided with heavy rain in late January. The snow melted quickly filling rivers up, the rain pushing levels up higher. 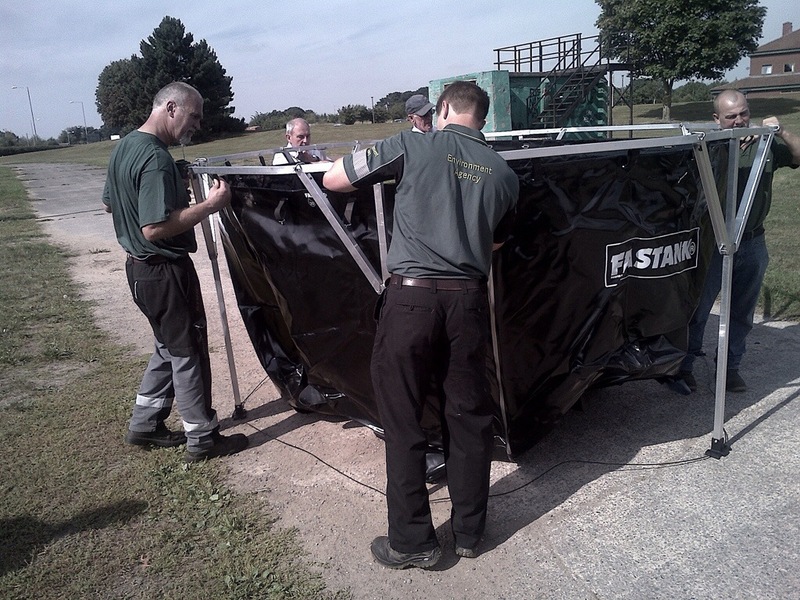 Flood defences which had only just been packed away were swiftly pressed into action again and we were back into the incident room. At least we were all well practised after 2012! 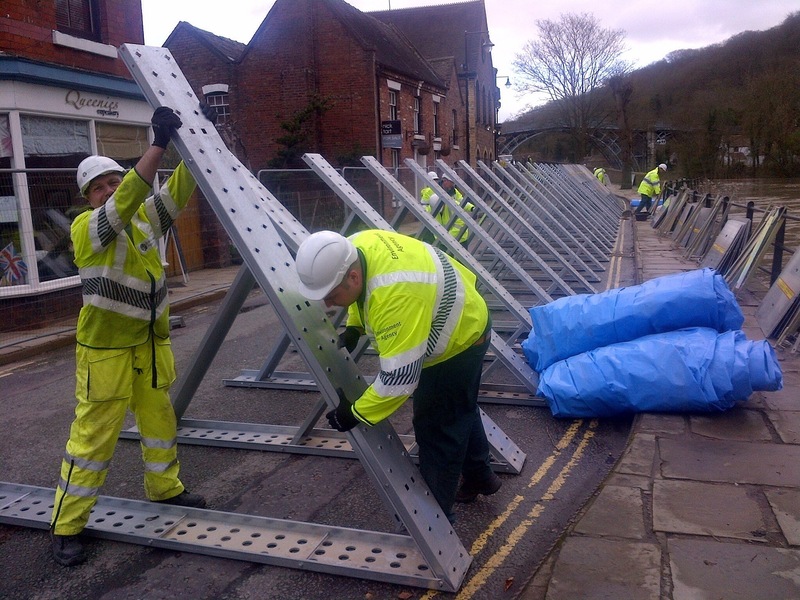 Levels on the River Severn were particularly high at the top of the catchment meaning we had to deploy our demountable defences at Shrewsbury and Bewdley as well as the temporary (A frame) defences at Ironbridge and Bewdley. Media interest was particularly high after the problems of 2012. In the event the flood passed through without serious problems and by the end of the month levels were dropping as drier weather set in. 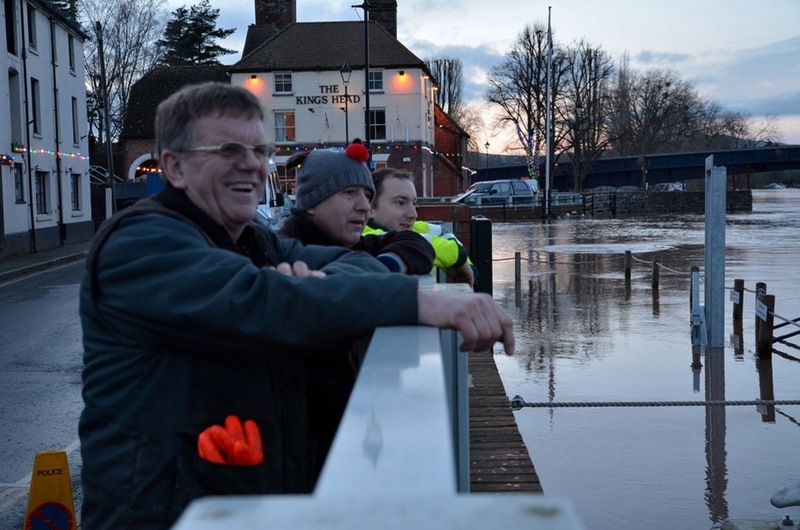 The weather was fairly benign through February meaning the threat of flooding receded. 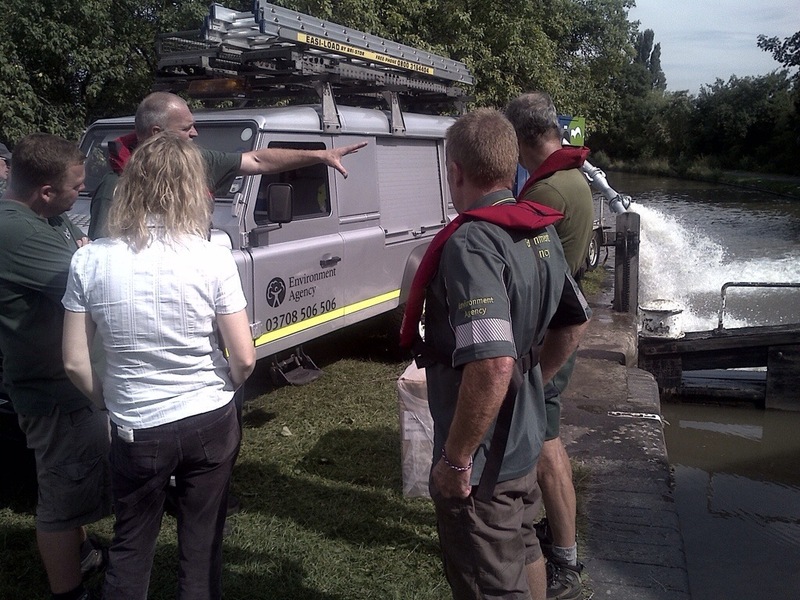 However, a number of serious environmental incidents across our patch meant that there was little time to relax. Two major failures of anaerobic digestion plants led to the threat of significant pollution to adjacent watercourses. 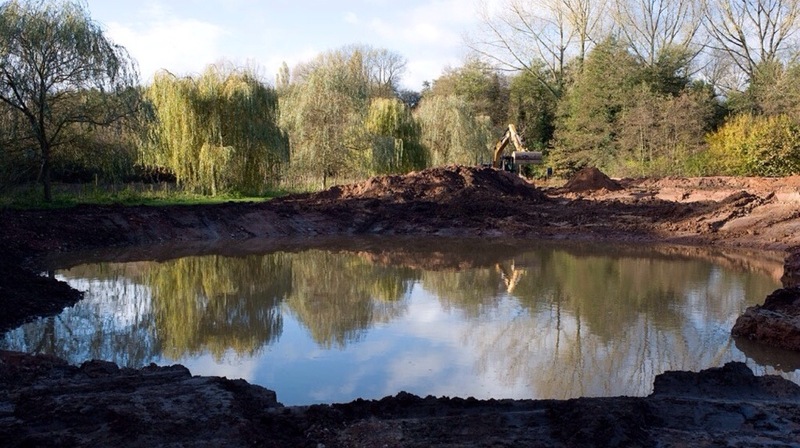 The biggest was at Harper Adams University in Shropshire where thousands of litres of highly polluting digestate escaped from the site. 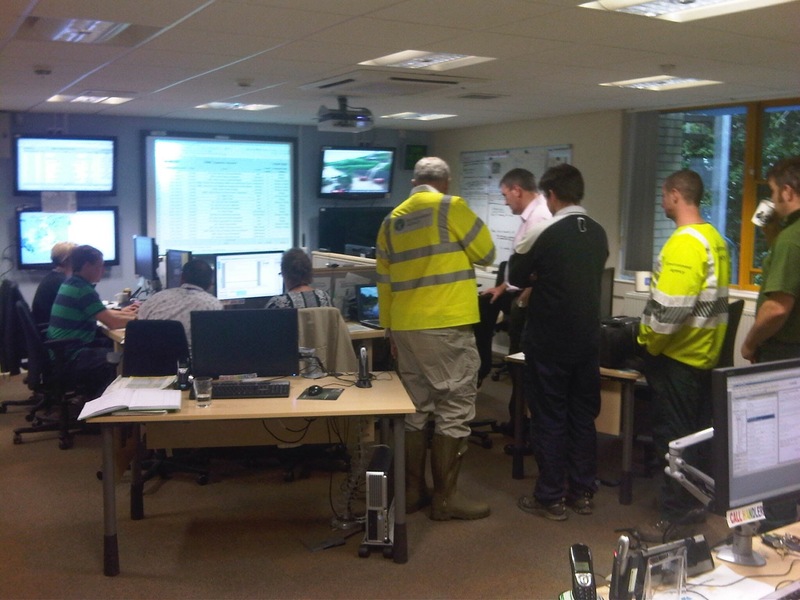 We opened an incident room to coordinate our on and off site response with Shropshire Fire and Rescue and the University. 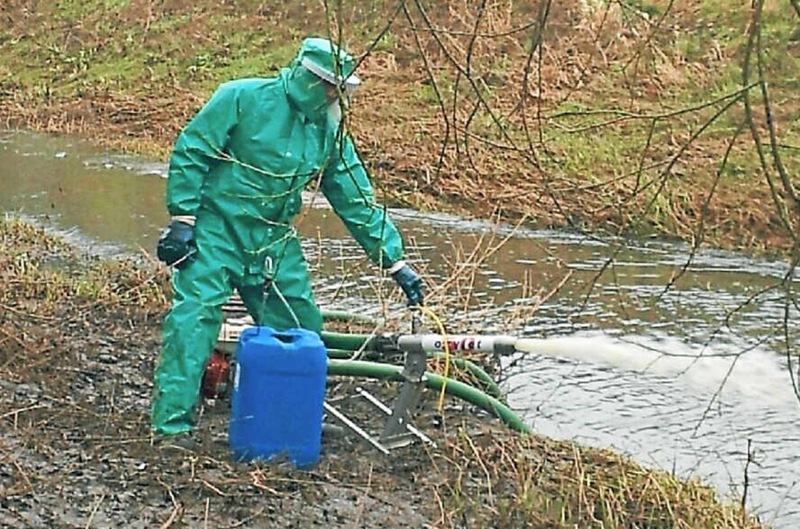 Although we managed to contain most of the run-off on nearby fields some did find its way into local streams which we treated with hydrogen peroxide to ensure oxygen levels didn’t drop (digestate is very effective at stripping oxygen from water). Fortunately the large and rapid response meant serious environmental damage was averted. 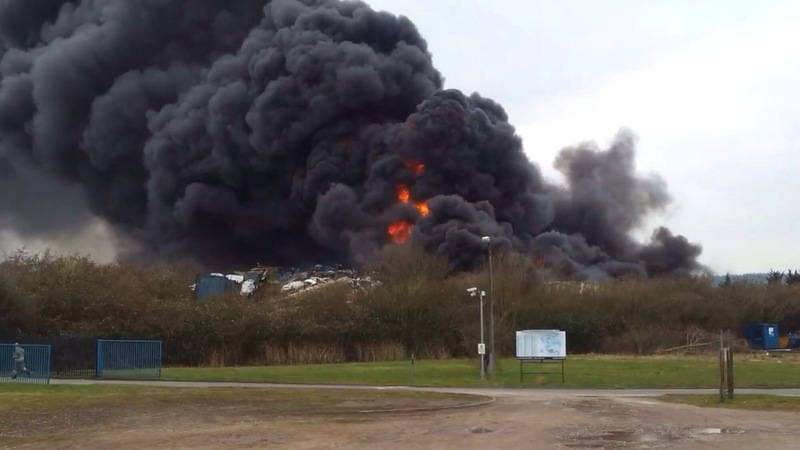 Before we’d finished dealing with the anaerobic digester incidents a large fire at a metal recycling plant in Lydney Gloucestershire broke out on 21st. Great work by Gloucestershire Fire and Rescue meant the fire was put out quickly but it did require the use of huge volumes of water. Water used for firefighting picks up a lot of pollutants and our job is to work with the fire service to prevent as much as possible getting into the environment. In this case we deployed a lot of staff and kit to prevent the water getting into the River Lyd which flows past the site. 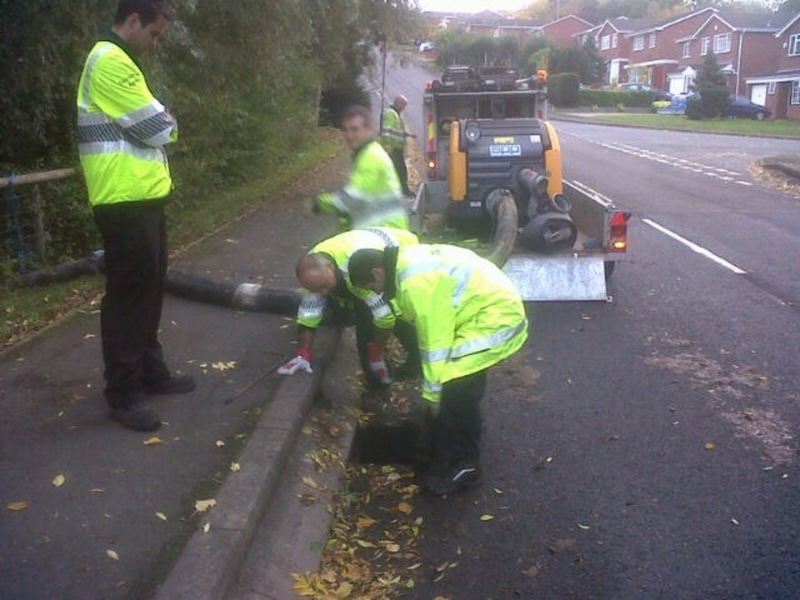 Again swift response prevented significant amounts of polluting stuff getting into the local environment. To say March 2013 was cold would be an understatement. It was the coldest March in 50 years and the second coldest on record. The overall mean temperature was over 3c lower than the long term average. On many days the temperature remained below freezing and there were frequent falls of snow. Due to the build up of a large snow pack across the Welsh mountains we became concerned about the prospects of a rapid thaw which would deliver all the locked- up water into the River system. Once again we had to open our incident room on a number of occasions to monitor the situation and advise our partners on the likely impacts. March is also the time when migrating baby eels (elvers) make their way up the Severn Estuary to access the Midlands river network. 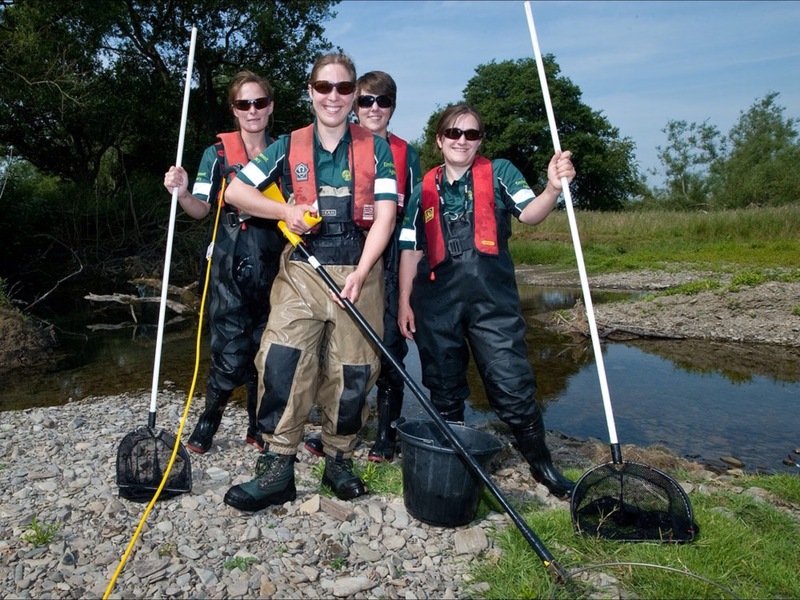 2013 saw the biggest elver run for many years with millions making it into the Estuary. 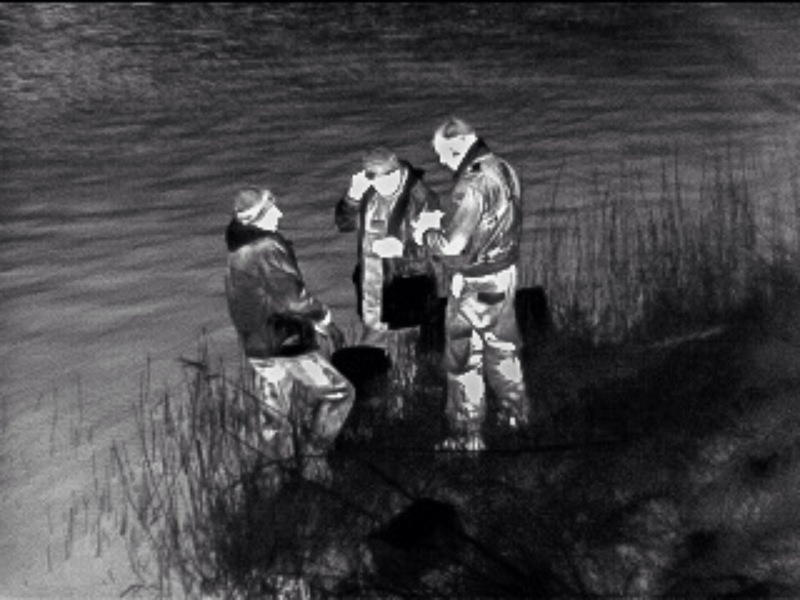 There is an established elver fishery on the Severn where controlled numbers are taken for re-stocking other areas. 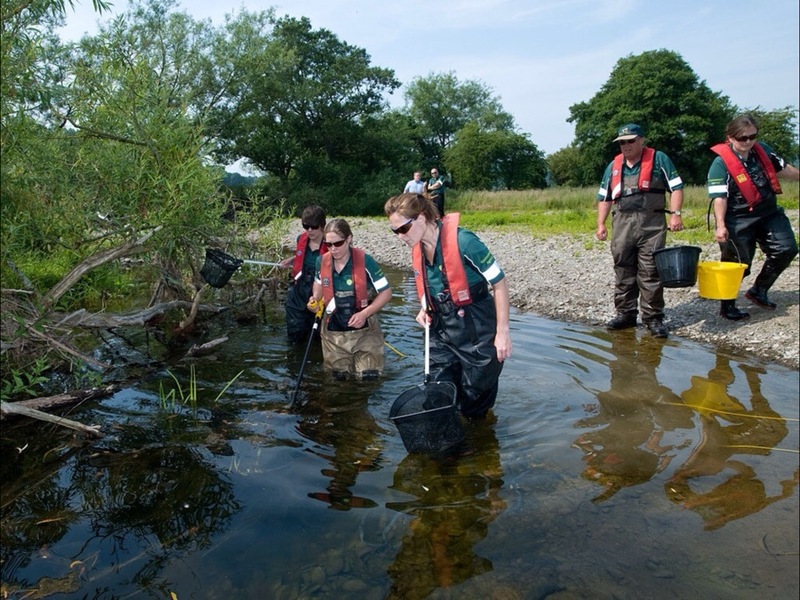 Unfortunately there is also a considerable amount of illegal elver fishing which presents a risk to the species which is internationally endangered. During March we undertook a number of successful operations to disrupt illegal elvering and catch the culprits. Some decent weather allowed us to get cracking on our fish monitoring programme. It was good to get away from incidents for a while and get up close and personal with some of our fishy friends. On small rivers and streams, like the River Isbourne in Worcestershire (below), we use elecrofishing to sample the fish that are present. A small electric current is passed through the water which temporarily stuns the fish allowing us to scoop them up. We then measure them and take scale samples before releasing them unharmed. By sampling the same sites we can see how they’re going over time. I’m pleased to report we found a very healthy population of fish on the Isbourne, including trout, eels and bullheads. 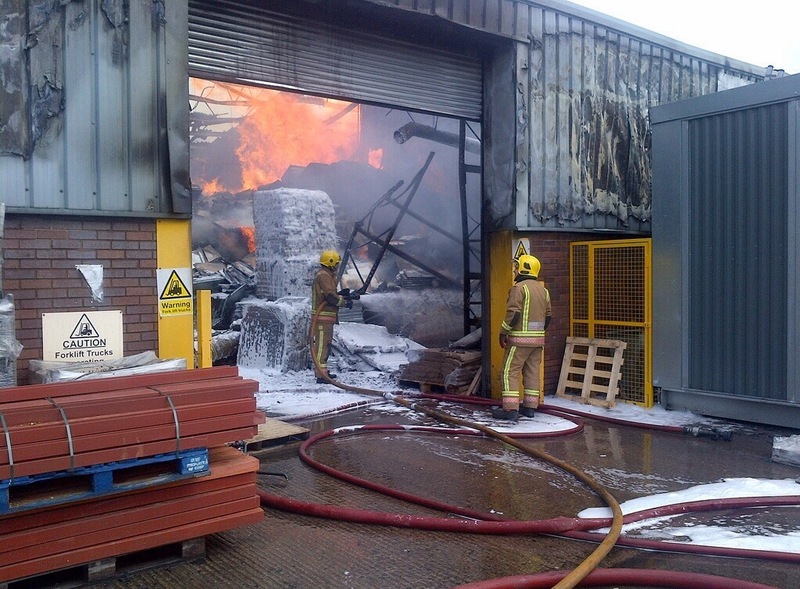 However, the peace didn’t last long and on 17th a fire broke out at a large flooring factory on Rothewas Industrial Estate in Hereford. There were immediate concerns about toxic smoke blowing over Hereford and a Silver Command meeting was quickly set up. This is a meeting of all responding organisations (such as police, fire and rescue, ambulance, local authorities and health services – and us!) to ensure the response is adequate and joined up. I represent the Environment Agency at these meetings. It became apparent that the fire could be extinguished quickly and that smoke would not be a problem. However, we were concerned that the River Wye flows past and the industrial estate drains into it. So we spent the rest of the day working with Hereford and Worcester Fire and Rescue tracing the on site surface water drainage and ensuring contaminated water was not entering the river. 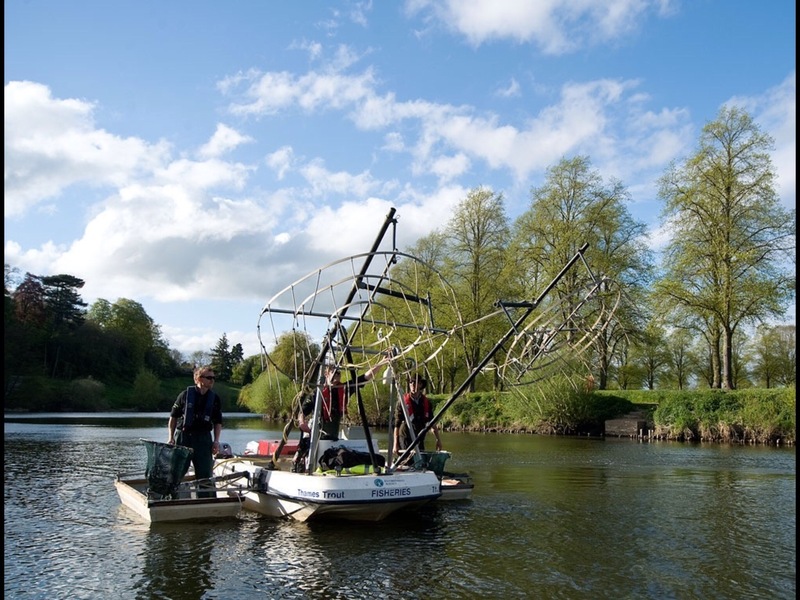 At the start of May we borrowed an electrofishing boom boat from our colleagues in the South East to carry out some fish monitoring on the River Severn in Shropshire. This impressive vessel is specially designed to sample fish in large rivers and provides a large electric field. Big rivers present a real challenge when undertaking fish surveys: they’re too big to use conventional electro fishing kit, too wide and deep to net, and irregular bed profiles and obstructions make using sonar unreliable. 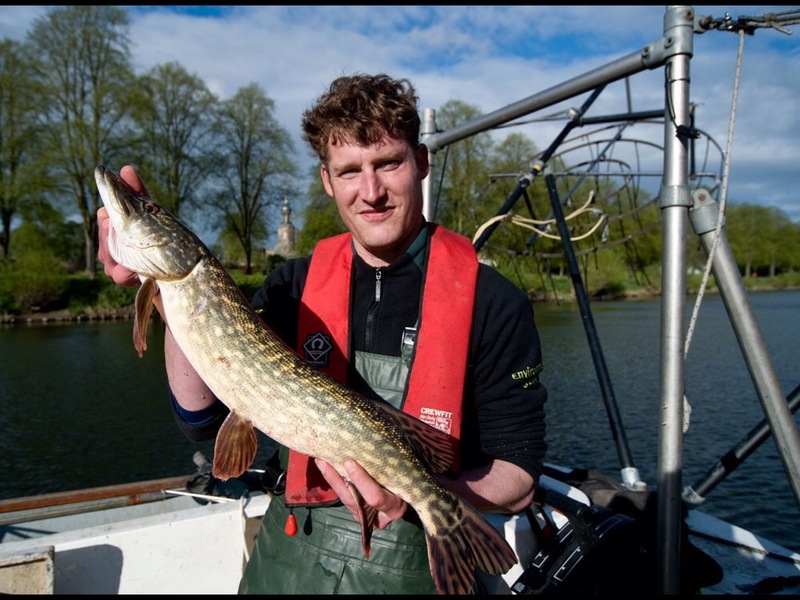 We caught good numbers and a wide selection of fish including some large pike and perch, a shoal of roach, dace, chub, ruffe, gudgeon, European eel and juvenile Atlantic salmon as well as plenty of bullheads and minnows. The middle of the month saw another incident threatening the local environment. 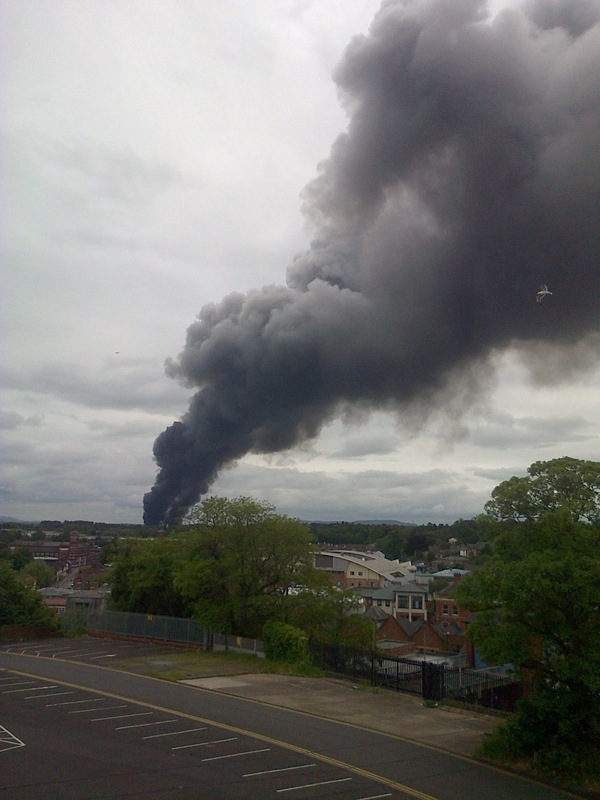 This time is was a fire at a food oil reprocessing factory in Stourport on Severn. 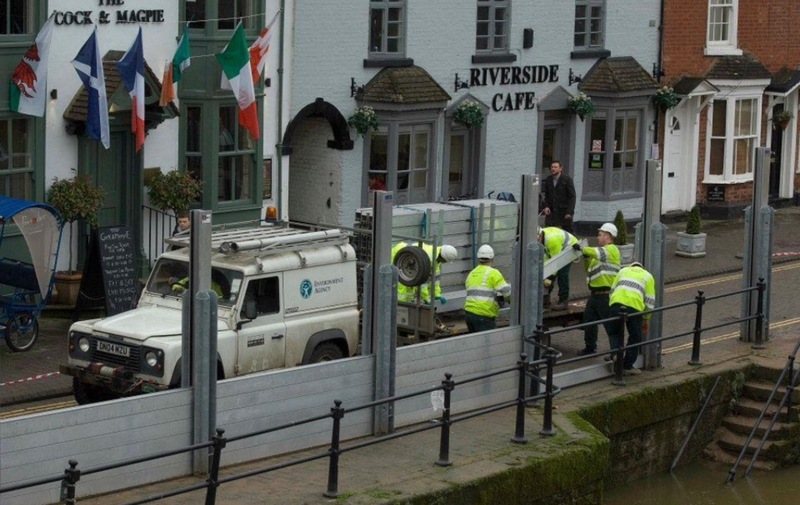 The buildings are almost on the banks of the River Severn but fortunately the quick thinking and response of Hereford and Worcester Fire and Rescue and our officers, working through the night, meant that all contaminated water was contained behind hastily constructed bunds. No impacts on either the Severn or the immediate local environment were detected. A nice contrast to seemingly never-ending incidents was provided when I had the pleasure of opening some new easy access fishing facilities at Jay Farm, Leintwardine. 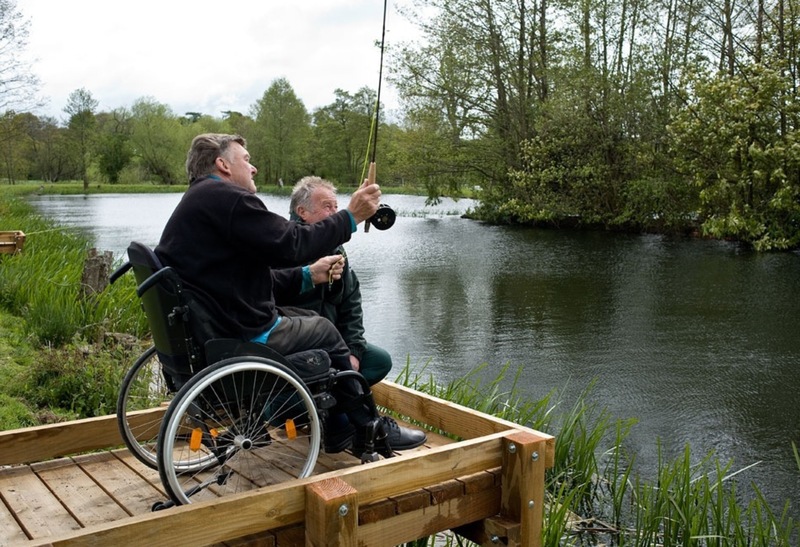 Using money we receive from rod licence sales we worked with the owners to provide smooth paths and platforms over the pool which now allow everyone to make use of this lovely site. 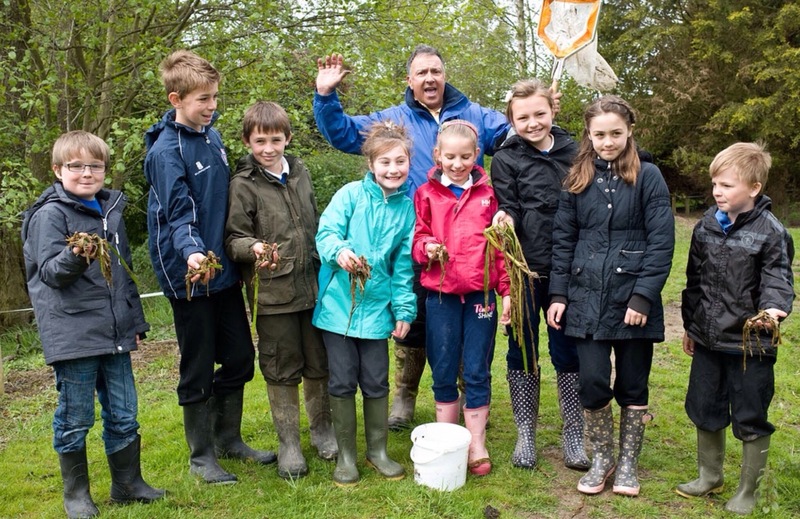 Children from the local primary school also came along to test the new facilities and take the opportunity to get some hands on experience of the watery wildlife, of which there was plenty! As a result of the frequent flooding of 2012 large amounts of debris and rubbish has built up on the River Stour just outside Kidderminster. 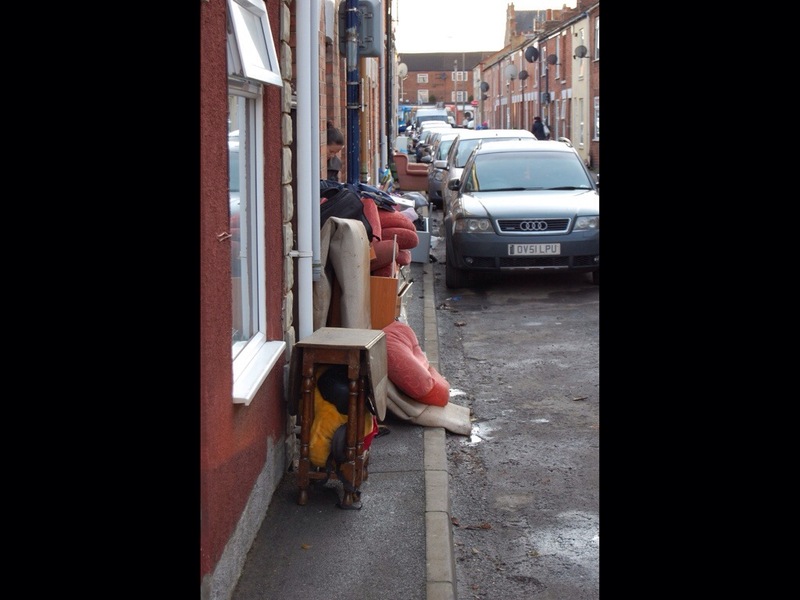 Not only was it very unsightly it also raising the risk of flooding locally. So at the end of May we launched a major operation with Wyre Forest District Council to remove it and dispose of it properly. The full scale of the problem only became apparent when we started digging down into the debris. 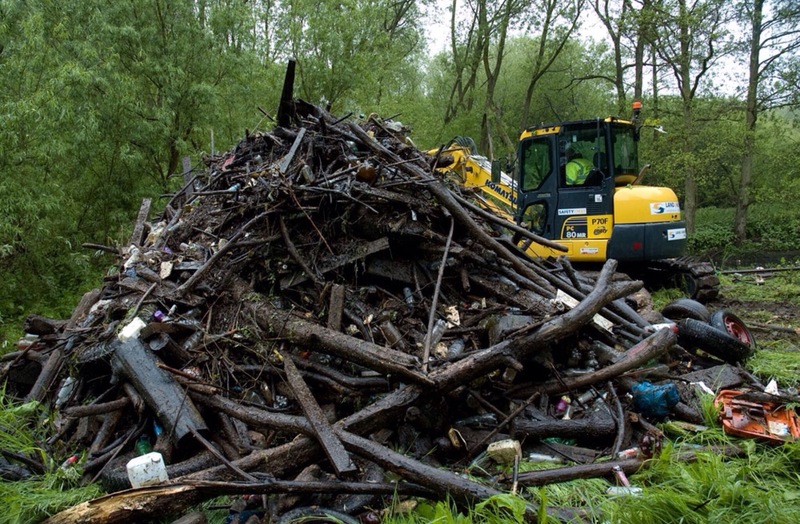 Tens of tonnes of wood and rubbish had been built up and it took all of our specialised kit to shift it. The task was made more hazardous and unpleasant by the presence of used syringes and bottles of urine. In the end it took three days to completely remove it all, sort it and send it for proper disposal. Our guys had a particularly tricky moment when they released a large branch and a human head bobbed to the surface. 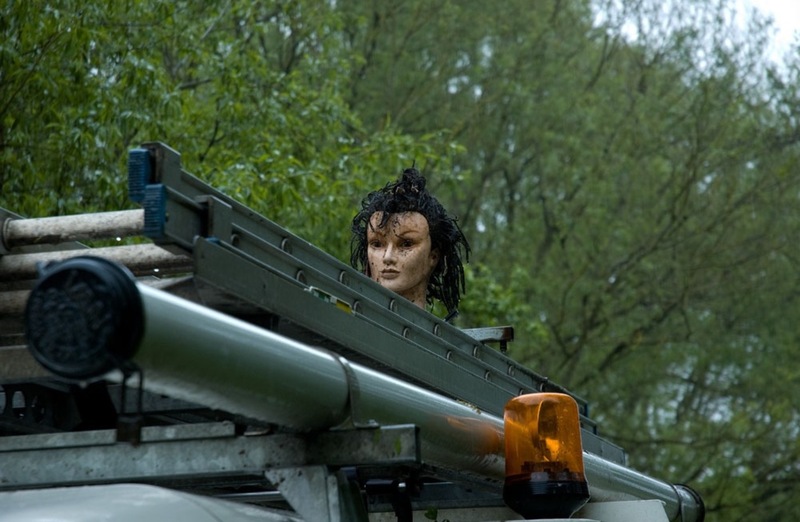 Fortunately, once they plucked up courage to have a closer look they found it belonged to a mannequin. Good job – dread to think what the paperwork would have been like if not! June (and indeed much of July and August) was completely dominated by one incident. 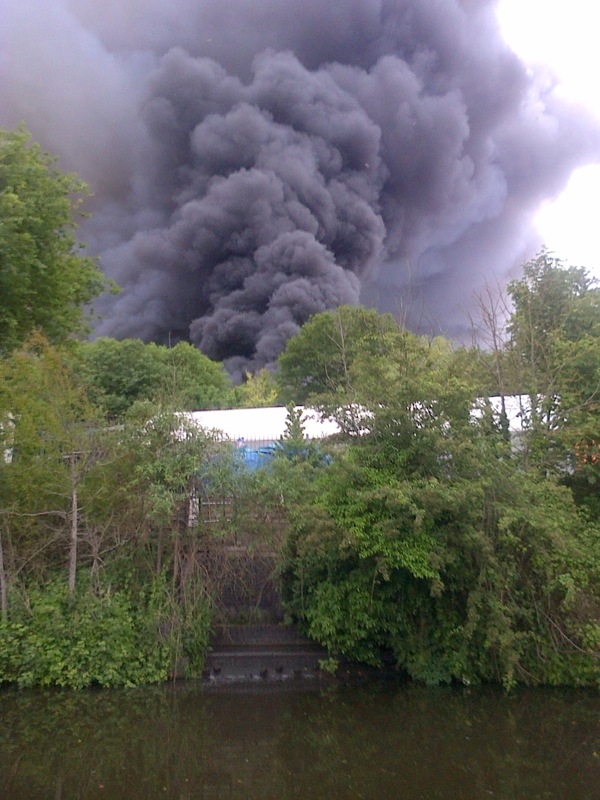 On the afternoon of 16th June a huge fire broke out at Lawrence Recycling in Kidderminster. The blaze was so big that the plume of smoke could be seen over 30 miles away and the intense heat even generated its own pyrocumulous clouds! Hereford and Worcester Fire and Rescue were on site very quickly and set about tackling the fire with large numbers of appliances and over eighty firefighters. 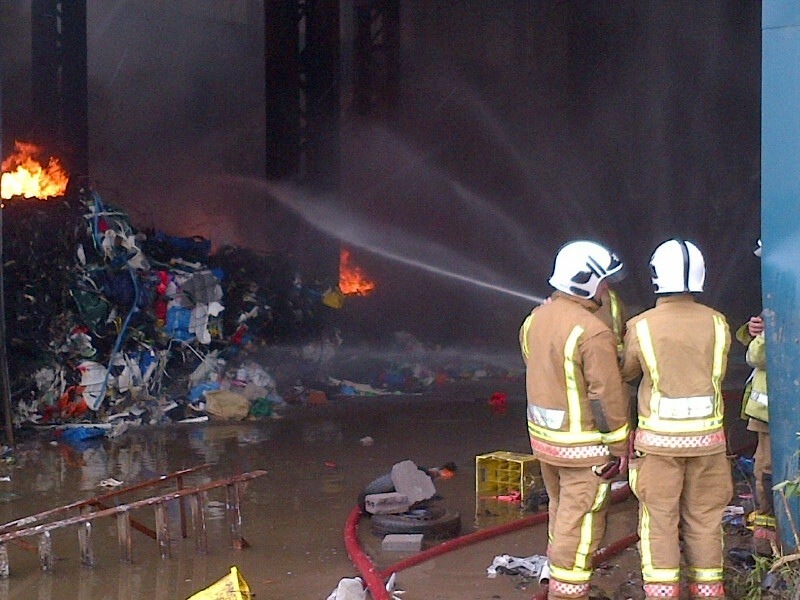 The scale of the fire was enormous and involved many tonnes of processed waste, much of it plastic. During the night of 16th June and into the 17th large volumes of water were put onto the fire in an attempt both to extinguish it and prevent its spread to other parts of the huge buildings. Most of this water could not be contained and went into the surface water drains across the site. These drain directly into the Staffordshire and Worcestershire canal which is located immediately to the east of the recycling centre (photo below). Water used for firefighting is nasty stuff. 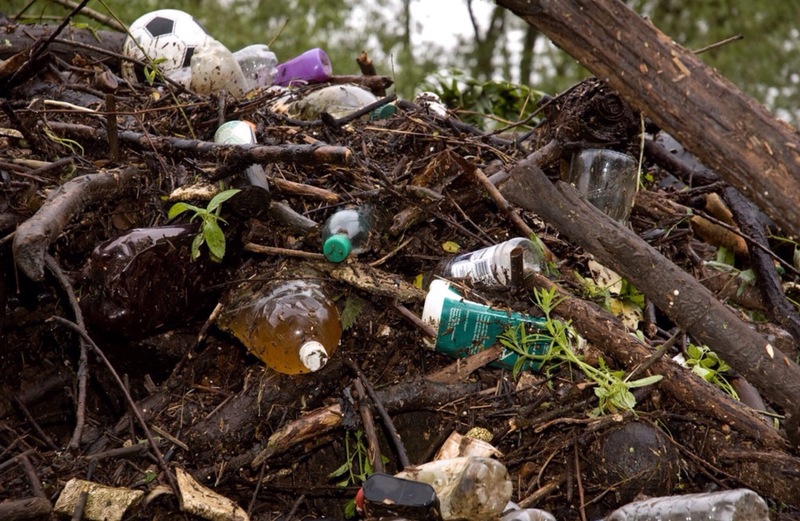 When things like plastic burn they release chemicals which are picked up by the water. Some of these chemicals are toxic and others are very effective at stripping oxygen out of water. Not surprisingly we get very concerned when fire water escapes to the surrounding environment! 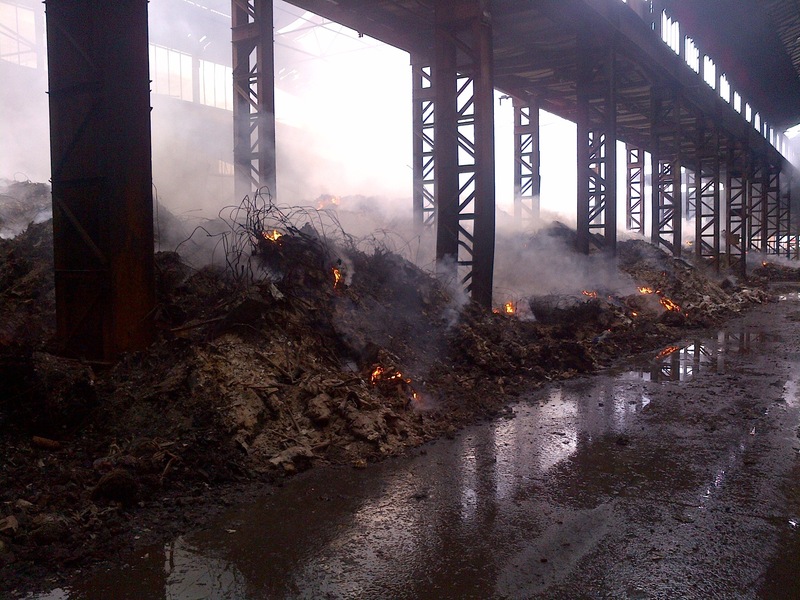 In this case due to the intensity of the fire and the need to tackle it aggressively with large amounts of water it was not possible to contain it all on site. By the morning of 17th June we knew that several thousand gallons of contaminated water had entered the canal. From the outfall point by the recycling plant, the canal flows south for about a mile and a half before entering Stourport Marina at York Lock. The marina then empties into the River Severn which is used to supply drinking water to millions of people. Unfortunately despite our best efforts many thousands of fish were killed. We did, however, prevent the escape of significant amounts of polluted water into the River Severn. 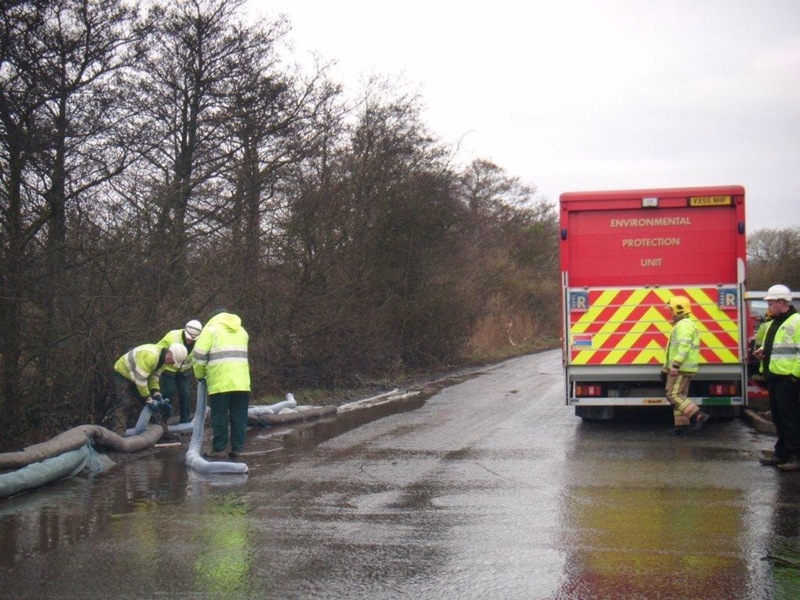 Within a day or so we had worked with Hereford and Worcester Fire and Rescue to contain all the contaminated water on site so it no longer posed a threat to nearby watercourses. The fire itself proved very difficult to put out. The sheer scale of it, coupled with the fact that the buildings within which it burned were severely damaged and dangerous, meant that it continued to smoulder well into August. Unfortunately this had a significant impact on those living and working nearby. 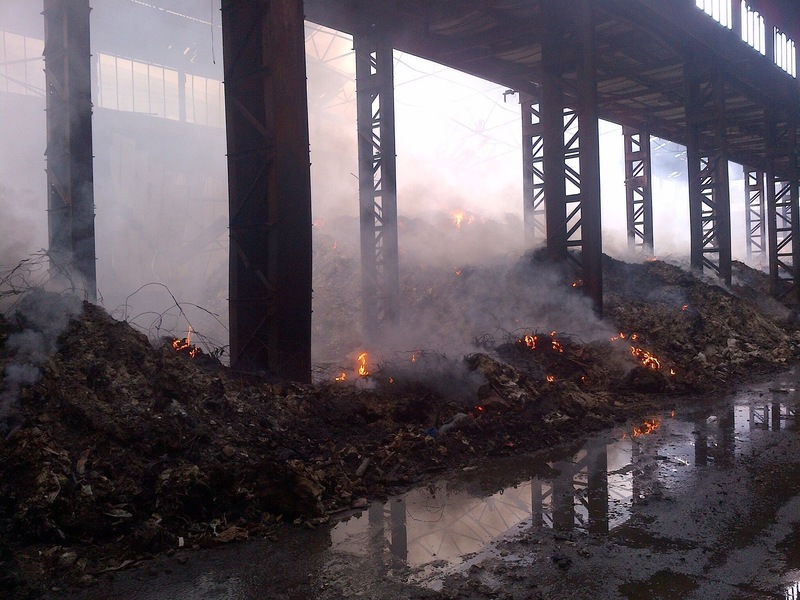 Eventually the building had to be demolished and the burning waste pulled out and extinguished. A laborious, dangerous and expensive process. The good news is that a new owner for the site has now been found and a full clean up is almost complete. It may feel a lifetime ago, but we did actually get a decent summer in 2013. July in particular was much warmer and sunnier than average, with a number of hot days thrown in. This followed on from a notably dry June. By the end of July many of our rivers and lakes were showing the impacts of the prolonged dry and warm spell, spurring us into action once again. This time to try to save fish under immediate threat from the conditions. 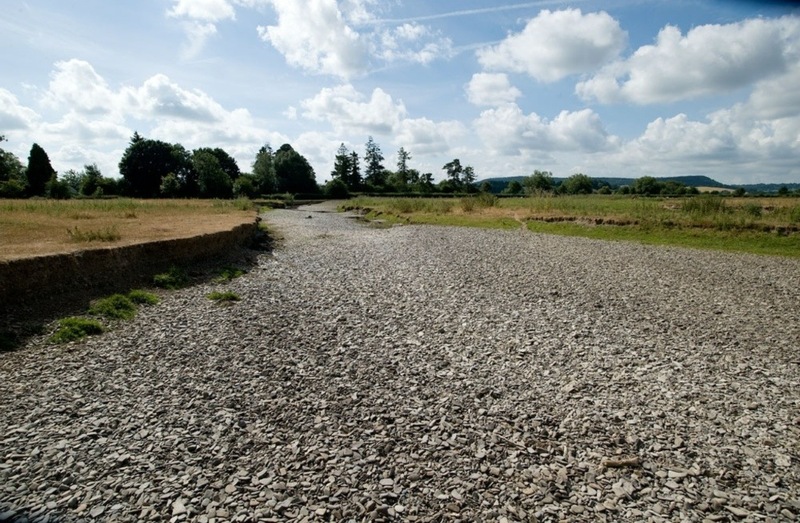 The top of the River Teme, above Leintwardine, is prone to low flows in dry weather. By late July the hot and dry weather had taken its toll and for long stretches the River had run completely dry. Walking along the gravel bed is a very strange experience! 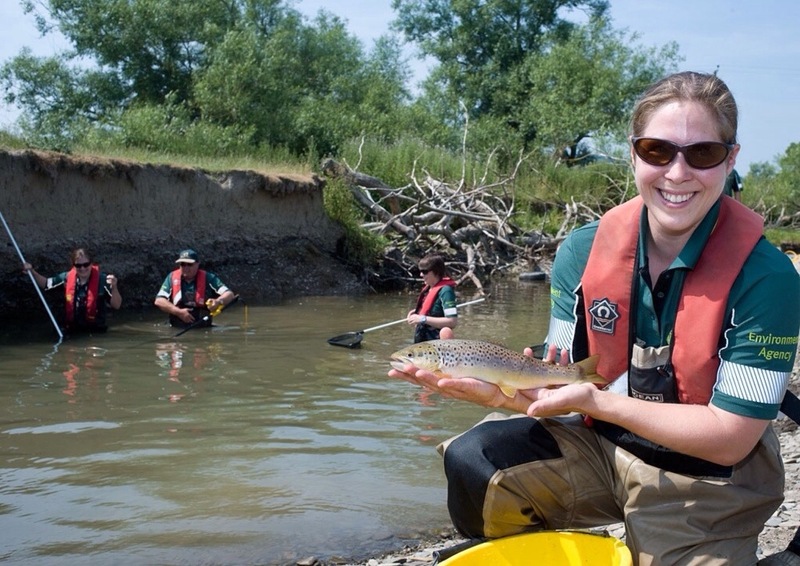 The Teme supports very good populations of fish. As the River dries out the fish seek refuge in deeper water. The problem is that these deeper areas get cut off as the main River dries out. The sun and heat then gets to work on the pools, drying them out and reducing the oxygen levels. If left alone the fish will either die or taken by predators. To prevent this happening we launched a number of rescue operations. Our electro fishing teams get into the pools, stun and scoop up the fish and transfer them into large transportation tanks. They are then released at safe locations further downstream. 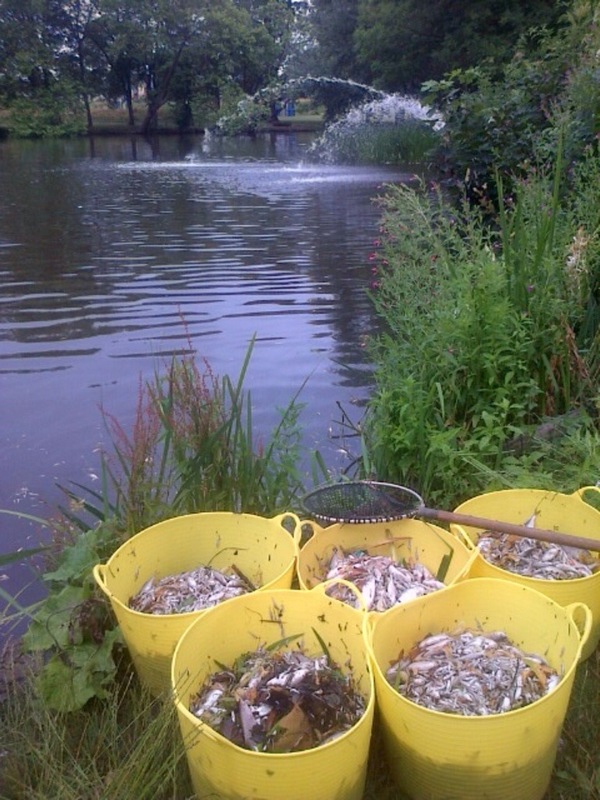 During late July hundreds of mature fish were rescued, including some very fine salmon and trout specimens. 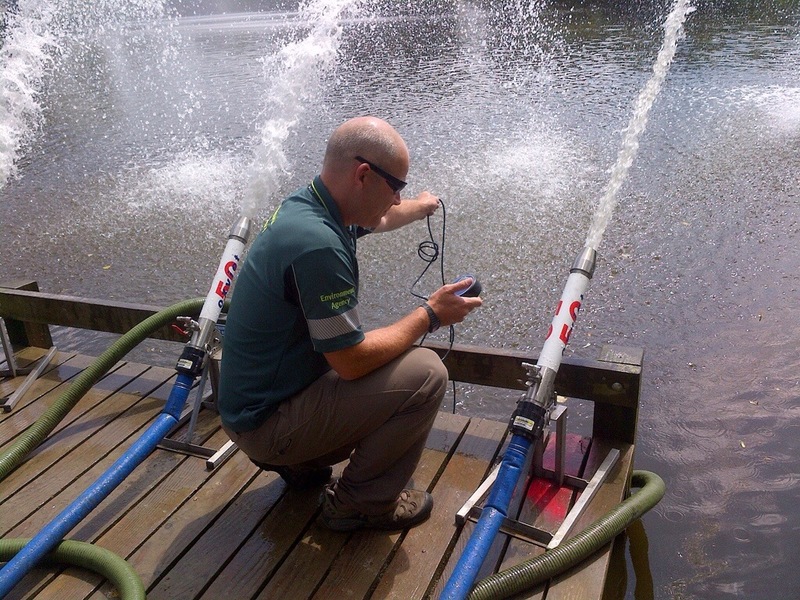 Fishy problems weren’t confined to rivers, however, and as the hot weather continued we received increasing numbers of reports of fish dying and in distress in fishing lakes and parks. By far the biggest incident happened at Pittville Park Lake in Cheltenham. A combination of an algal bloom, too many fish and a thunderstorm which churned up the sediment at the bottom, meant that oxygen levels fell very quickly. 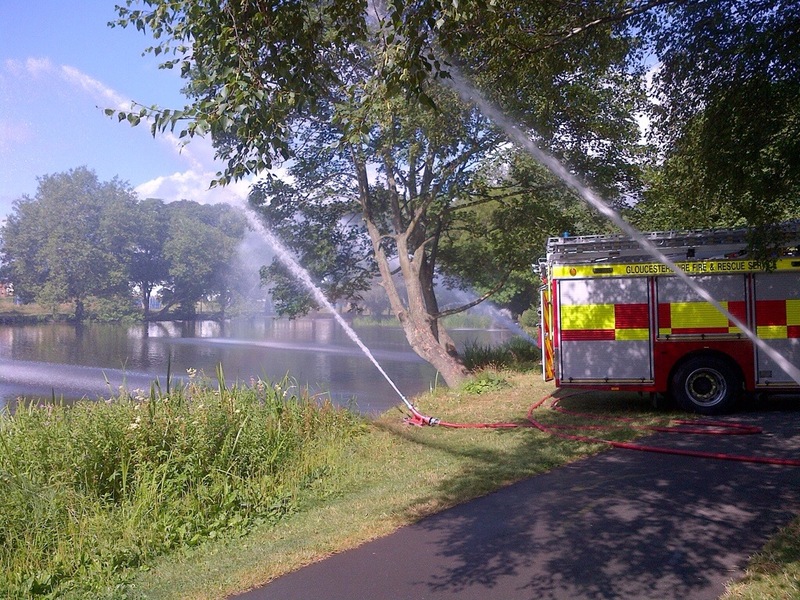 With the help of Cheltenham Borough Council (who own the lake) and Gloucestershire Fire and Rescue we managed to get more oxygen into parts of the lake using large hoses and aeration units. This created refuges where fish could congregate until oxygen levels could be stabilised naturally. 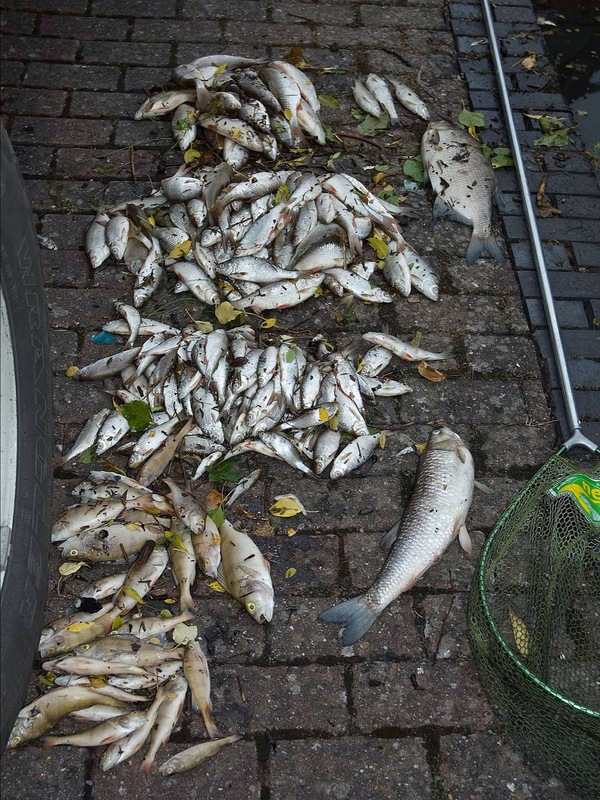 As a result of our actions we managed to avoid a complete loss of all the fish in the lake and most of the very large specimen fish were saved. Unfortunately, however, despite our collective efforts, many thousand fish did perish. As cooler weather arrived in August, oxygen levels slowly returned to normal. Cheltenham Borough Council now have a long term management plan for the lake which, hopefully, will make a repeat of the incident less likely. We are able to carry out big fish rescues like these as a result of the money we get from fishing licence sales. Buy yours here! September gave us a short break from seemingly endless environmental incidents. So we used the time to practice for the next one! 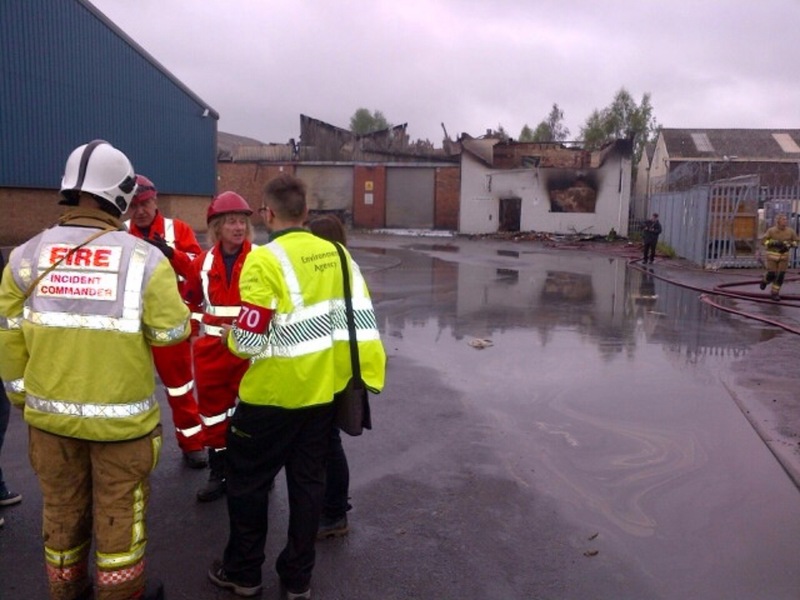 We held a major exercise in Worcester for our operational staff. It offered the chance for some hands-on experience with our incident response kit. During major incidents we use staff from all parts of our business. This not only means we can deploy a lot of people very quickly, it also gives us good resilience during incidents which last for a long time. It does, however, mean that in order to ensure everyone has the right skills and experience we have to do a considerable amount of training. This exercise, imaginatively dubbed Exercise Canary (I’m not sure why!) 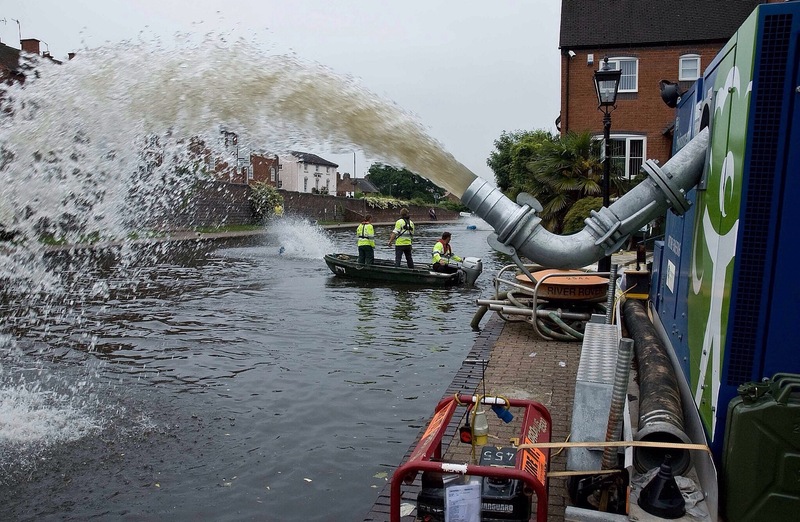 was based around water pollution incidents and involved the use of fast tanks, above (used to contain contaminated water before it’s taken away for disposal), aeration kit, below (used to get oxygen quickly into water) and peroxide dosing equipment (also used to oxygenate water). 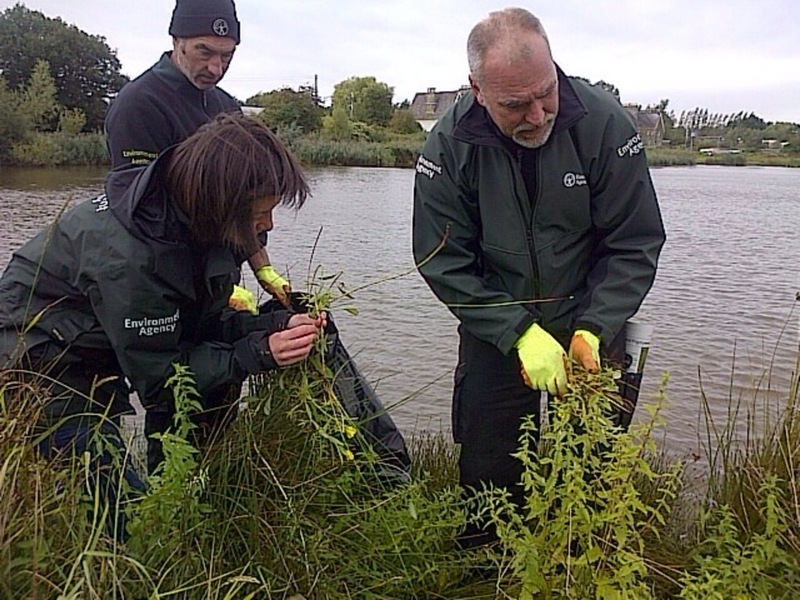 September also saw us carry out some eradication work on a particularly nasty invasive plant. 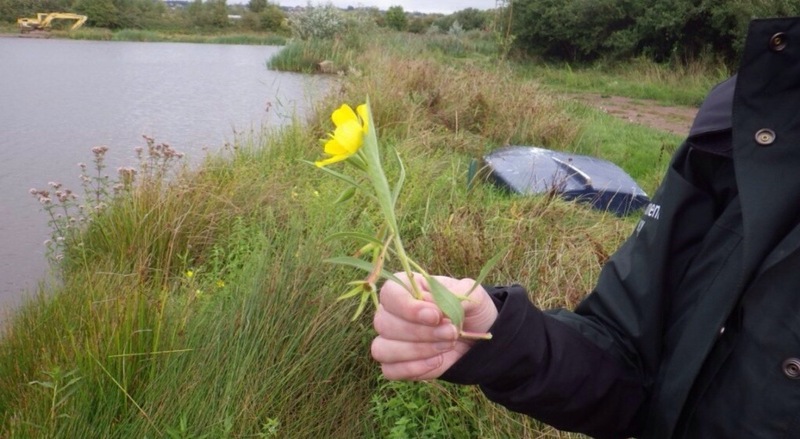 Creeping water primrose looks pretty innocuous but, in fact, represents a real threat to our waterways. Originating from South America it spreads very quickly, out-competing native flora. It can completely choke rivers and pools, making them inaccessible for navigation and increasing flood risk. In France and parts of the USA where it has become established millions of pounds is spent trying to control it. Fortunately in the UK it is still very rare and we are very keen to keep it that way! 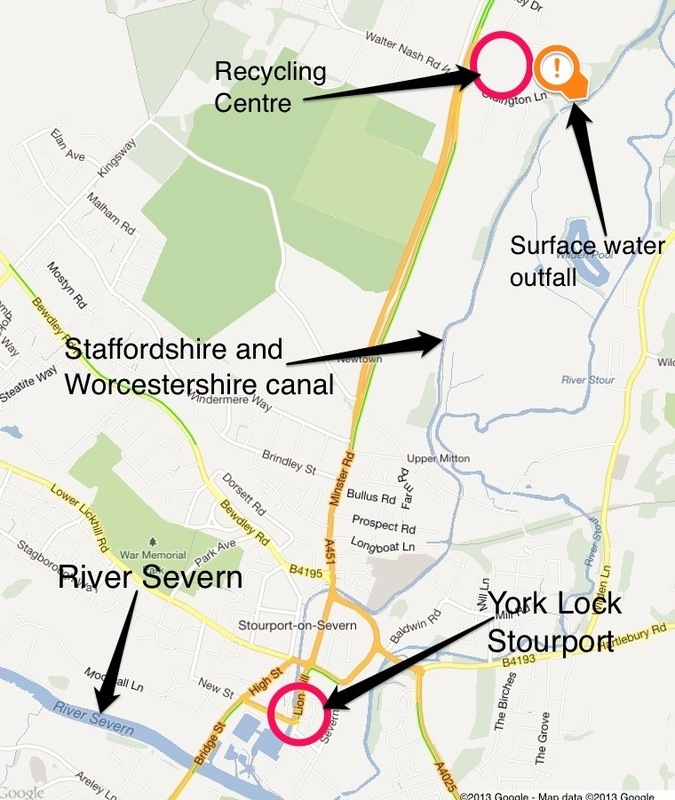 We know of two locations where it is present in the Severn catchment. One is near Lydney in Gloucestershire and we spent several days during September searching for every plant, hand pulling them and destroying the remains. It may be several years before we can be sure it has been completely eradicated. 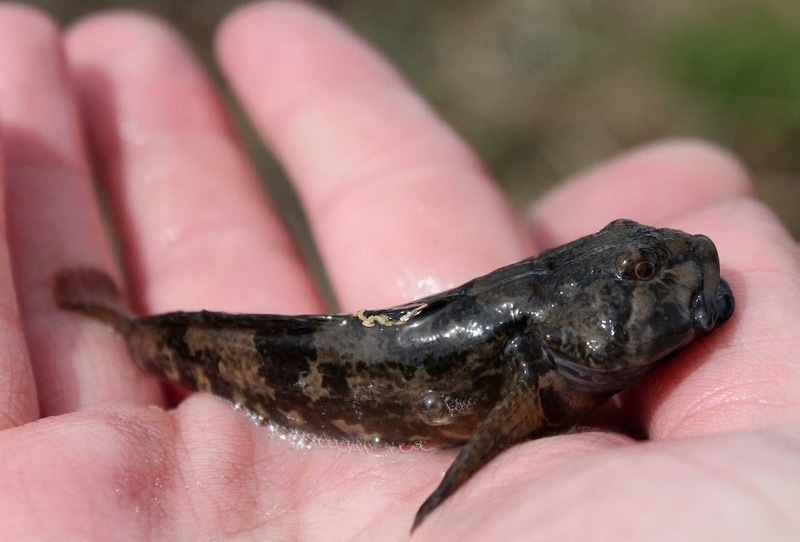 Non native and invasive species represent a real threat to our environment. Get involved in identifying and reporting them by downloading our fancy app. It really works! Late October saw the first of the storms that were to dominate the news and my life for most of the rest of the year. The storm, named St Jude’s Storm, was well forecast several days in advance. It was the first in what became a conveyor belt of powerful storms from the Atlantic. 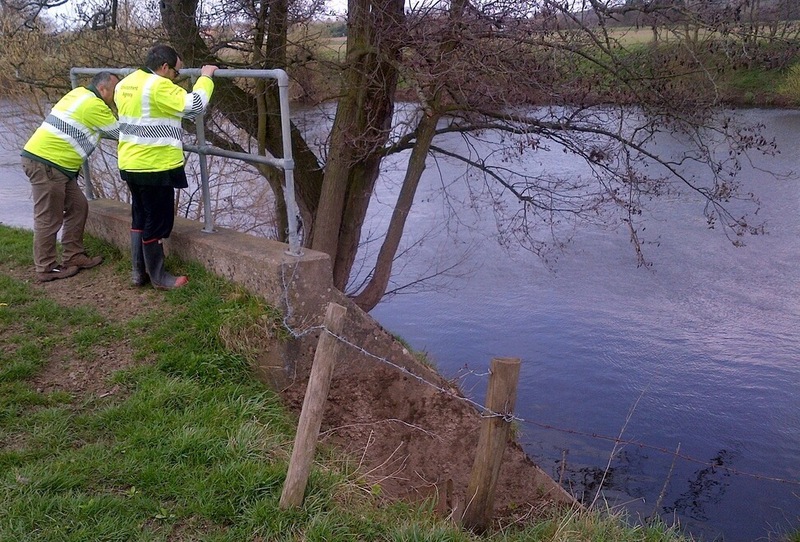 In preparation for the storm’s arrival we carried out a lot of work clearing minor blockages in watercourses and checking that all our defences were in good condition. 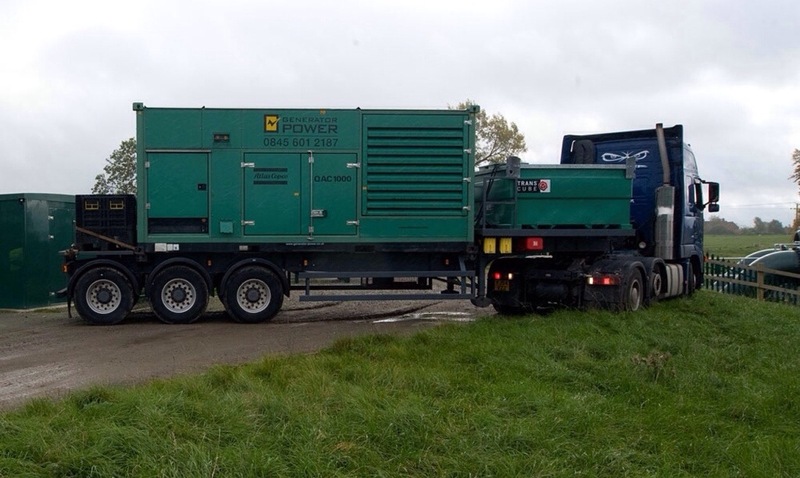 As a precaution we installed a humongous generator at Kempsey flood defences, in case the storm disrupted the power supply of the pumps which keep the village dry. We also opened our incident room for the first time for several months to monitor the developing situation. In the event the worst of the conditions missed us by about 50 miles to the south. However, the preparation put us in a good place for the coming months! A brief window in the weather allowed us to progress a number of projects aimed at improving the health and quality of our rivers. 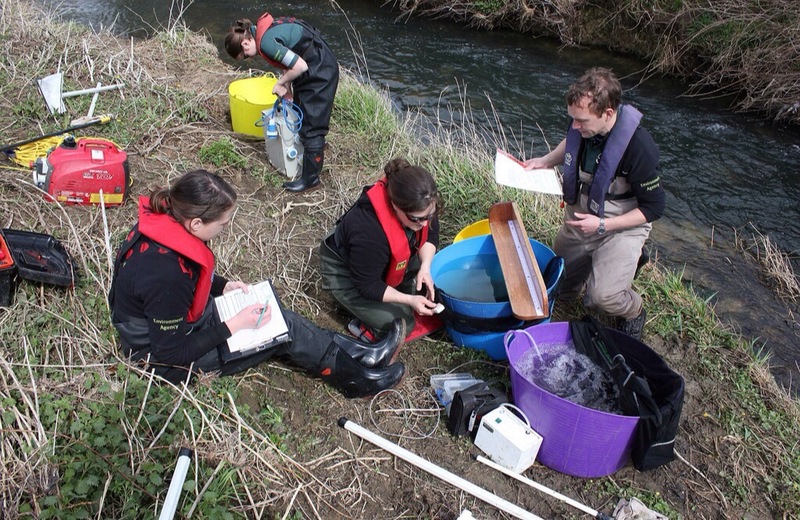 Last year we spent over a million pounds, often in partnership with others (such as Rivers Trusts, Wildlife Trusts and local authorities) on such projects across the Wye and Severn catchments. The Hoo Brook in Kidderminster is a tributary of the River Stour. Although water quality is good the lower stretches suffer from a lack of suitable fish breeding habitat. As a result fish populations aren’t as good as they should be. To help we’ve created some on-line (connected to the Brook) pools. These will provide sheltered and shallow water where fish can breed and the baby fish can thrive before returning to the main Brook. 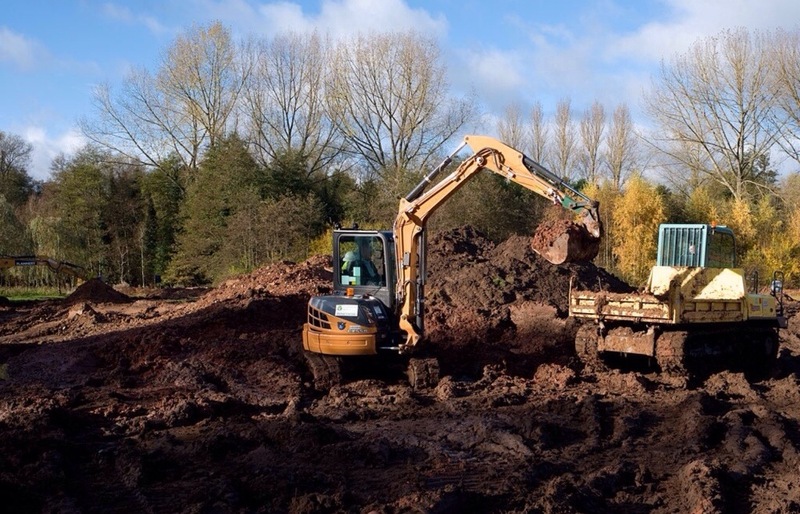 The pools will also provide excellent habitat for other plants and wildlife and an attractive area for local residents and visitors to Spennells Valley Nature Reserve to enjoy. To say that things kicked off in December would be extreme understatement! They haven’t calmed down since. The start of the month saw another big storm track down the North Sea. High winds, combined with low atmospheric pressure, pushed up sea levels. 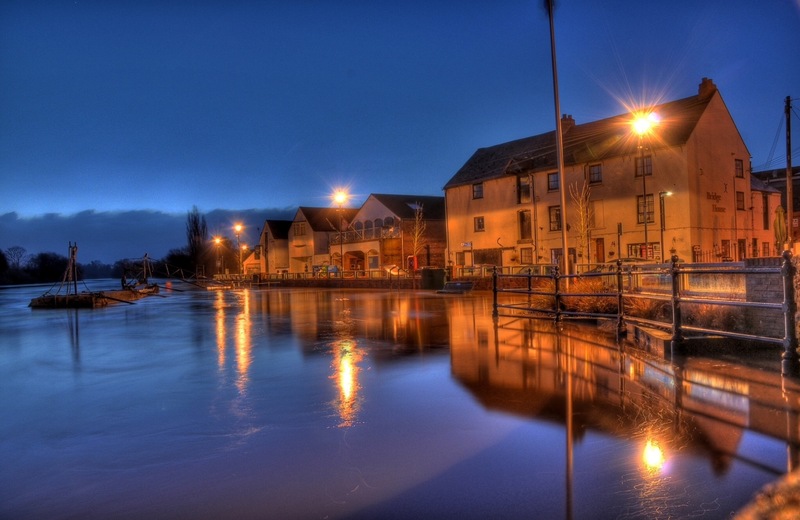 This surge of water coincided with high tides causing very big problems. Once again the situation was very well forecast several days in advance allowing us to make preparations for the expected impacts. You will probably picked up the fact that the East Coast isn’t on my manor! However, when we have major incidents (or likely major incidents) affecting only parts of the country we bolster local resources with experienced incident staff from other areas. So the day before the surge I threw a few things in a bag (including the yellow jacket) and headed East! In the event a very serious situation developed, with a 2 metre surge on top of high tides hitting most of the East Coast. Coastal defences were battered and in some cases severely damaged. 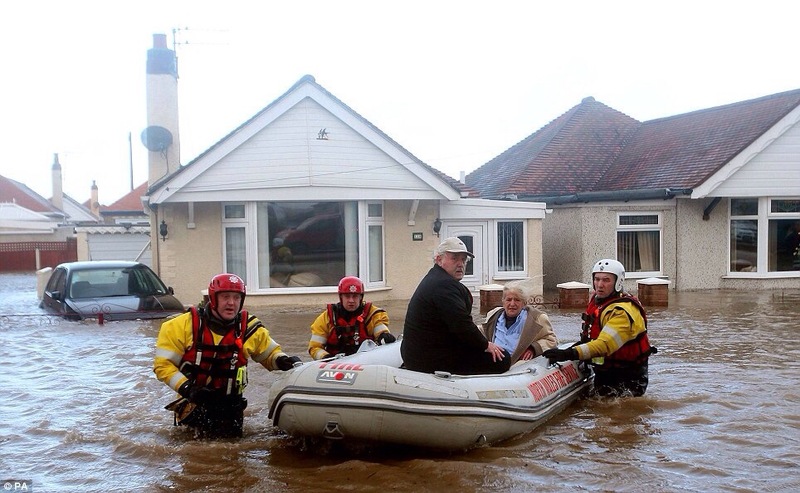 Over 1400 homes and businesses were flooded and critical infrastructure affected. In places sea levels were the highest ever recorded, exceeding the devastating floods of 1953 which killed 300 people and flooded 25,000 homes. 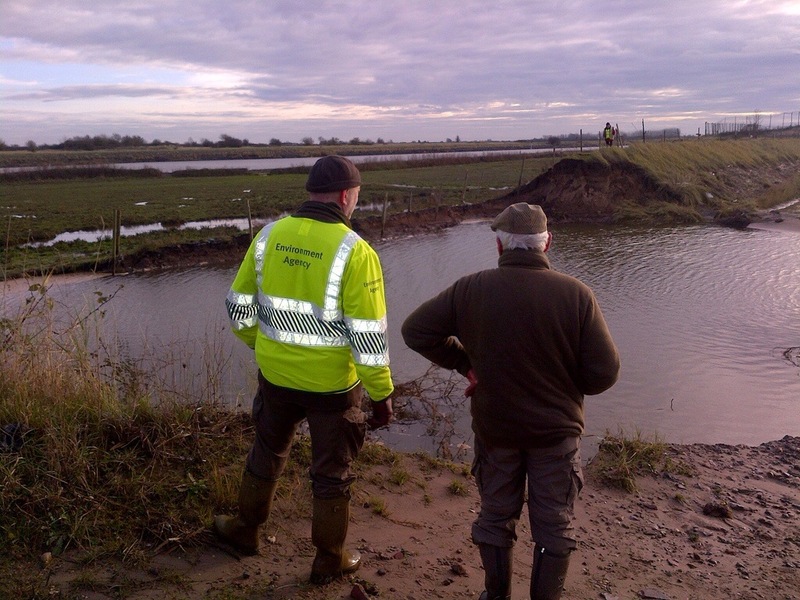 It is a testament to new defences and multi-agency response that no one died as a result of flooding and over 800,000 homes were protected. I spent several days in Boston where, sadly, hundreds of homes flooded when the River Witham overtopped its defences in the middle of the town. 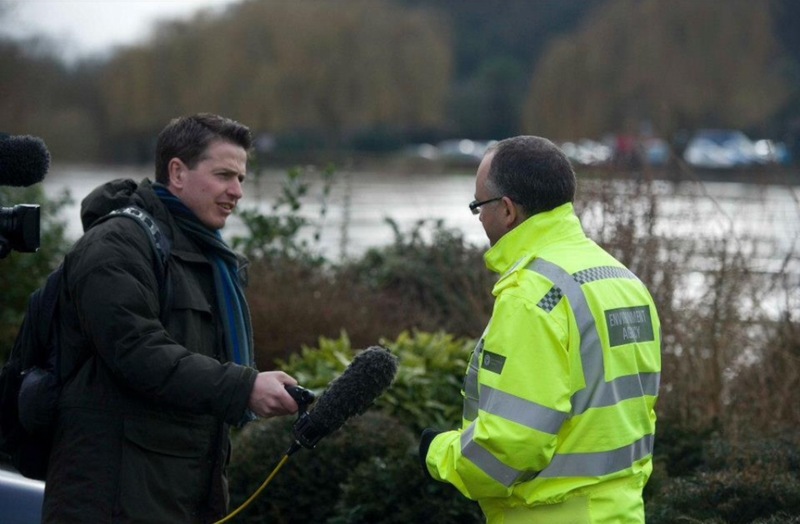 My role was partly doing media interviews and partly community support (talking to flooded residents and offering what advice and support I could). It’s a pretty sobering experience walking streets where every home has been flooded to a depth of two to three feet. I won’t forget my experience in Boston for a long time! I also witnessed the damage caused to our flood defences. Huge holes, tens of metres wide, had been punched in some flood banks (such as at the beautifully named Slippery Gowt, below). As I left for home the race was on to get these repaired before the next high tides. By the middle of the month wet weather was really setting in. A succession of rain-bearing low pressure systems, steered across the Atlantic by a strengthening jet stream, began clattering into the UK delivering copious amounts of rain. Soil soon became saturated, runoff became increasingly rapid and our larger rivers began to fill. With little recovery time between rain bands, flooding soon became an issue across the Severn and Wye catchments. 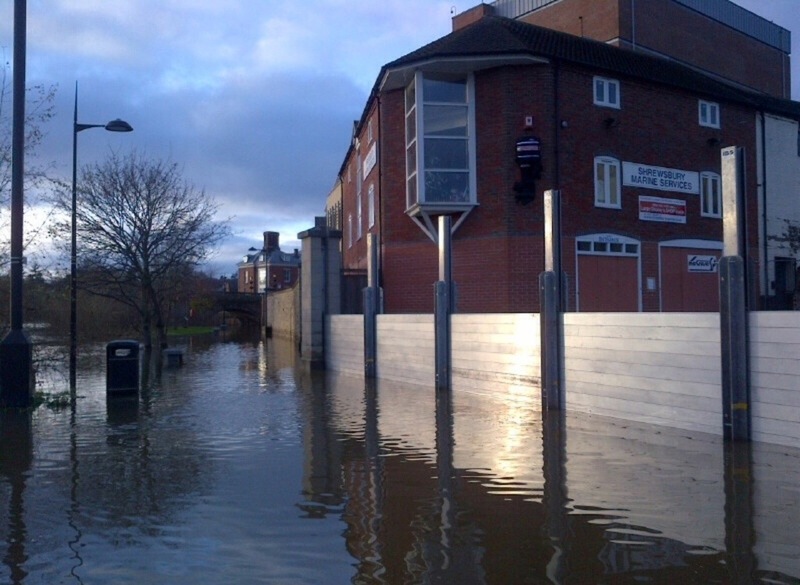 Flood defences started to go up as the Severn rose and our incident room in Tewkesbury opened on an almost permanent basis. 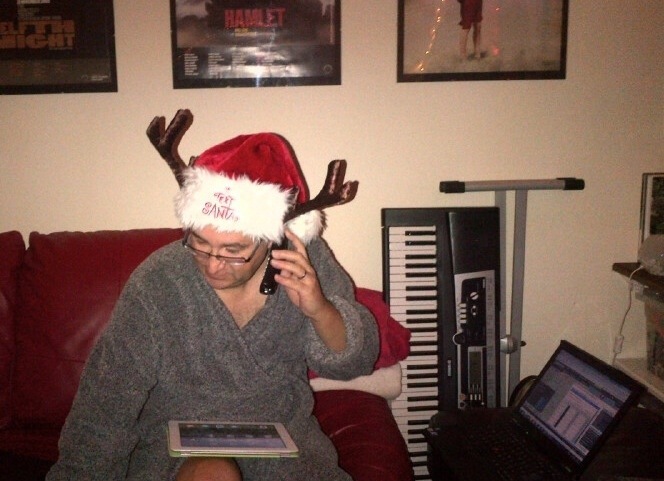 For the second year running my Christmas was more about media interviews and tweeting than prezzies and turkey! So the year had turned and we found ourselves back at Upton where we started. The outlook was increasingly bleak – a series of powerful Atlantic storms, combined with exceptionally high tides and coastal surges. However, at the turn of the year we still didn’t know how bad things would get – but that’s next year’s story!